Lois Bernstein is responsible for financial reporting, new client onboarding and general administrative support. 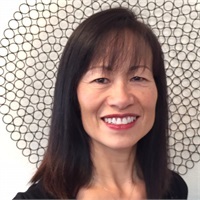 Prior to her role with RGB Capital Group, Lois worked for Touche Ross as a Senior Auditor, a Financial Analyst at Calmark Properties and a Controller for Gemtel Corporation. Ms. Bernstein also ran her own accounting consulting practice for over 14 years. She is a Certified Public Accountant (retired) and has her Bachelors of Science degree in Business Administration from the University of Southern California, Los Angeles. In her spare time, Lois volunteers as the Treasurer for the Educational Foundation at Black Mountain Middle School and at The Assistance League of Inland North County. She also enjoys running, swimming, tennis, playing the piano, cooking and travel. Lois has participated in many races throughout her running career as well as triathlons. Mostly, you’ll find her spending time with her family, their activities and their Golden Retriever.